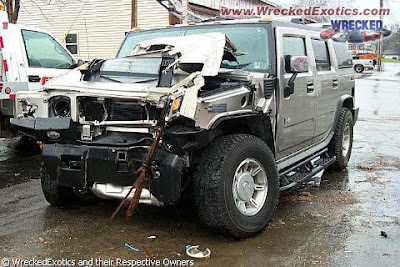 We all know that Hummer is a strong 4x4 car. 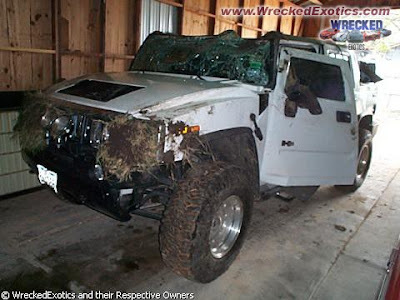 In past I've posted some materials about Hummers on this blog, like Hummer vs School Buss, A wired hummer, etc. 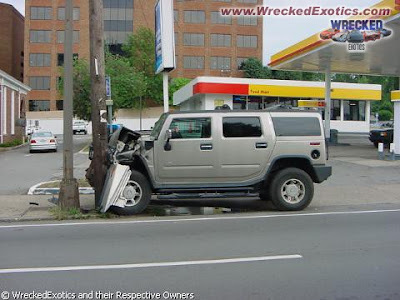 Today I've found on Kolyan a big collection of hummer accident, and I've wanted to post some pictures on my blog, to demonstrate that hummers are also cars, and can make accidents. 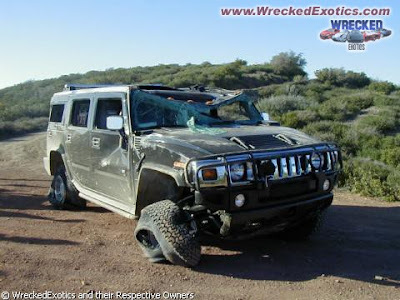 "We all know that Hummer is a strong 4x4 car"
REAL Hummers, H-1s, are strong cars. 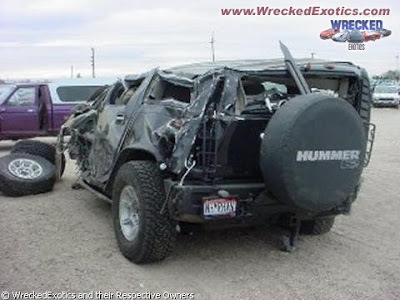 H2s and H3s are just reskinned Chevy Blazers. Not so tough. 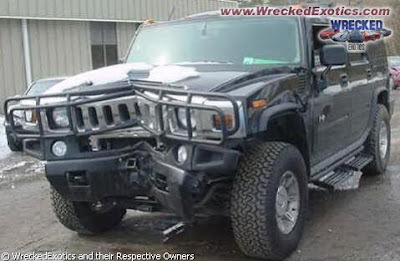 Big cars require big responsibility.So if person has a Hummer he shuold be carryfull on the road.But i like Hummers because it has a big dimension. 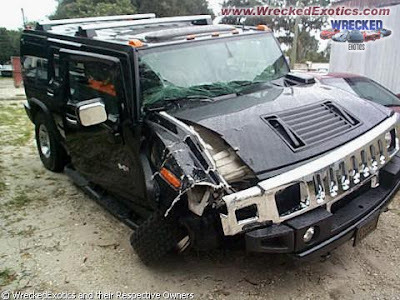 How can they call a Hummer "car"??? When it's bigger than a mini-van! Crazy americans.